There is no standard sample size. The sample size you need is entirely dependent on the nature of your research questions, what you hope to achieve with your study, and the resources that are available to you. When collecting quantitative data you can use a statistical formula to give you a rough estimate of the sample size you will need. When collecting qualitative data, however, the rule of thumb is to have as representative of a sample as possible that will allow you to exhaust the knowledge you could learn from the population. How sure do you want to be of your answer? How much variation is there in the population you are studying? 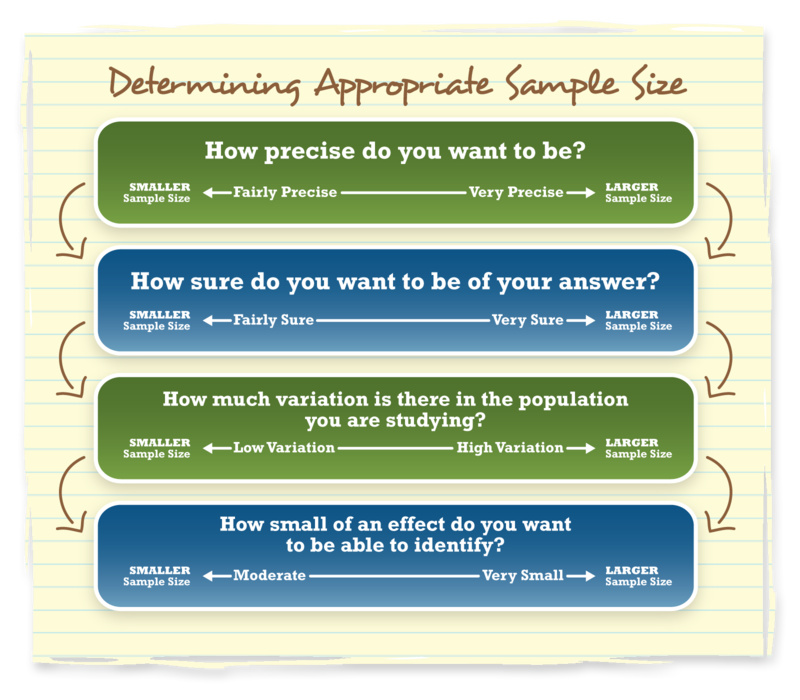 The figure below depicts how your response to each of the questions will guide your decision about your sample size. Visit the following link for more information on sampling: http://learningstore.uwex.edu/assets/pdfs/G3658-3.pdf.